On the occasion of Charles Darwin’s 200th birthday, it seems fitting to learn about one of the gardener’s most important allies; the earthworm. Darwin is best known for his theory of evolution by natural selection, but he studied many natural history subjects in depth. Orchids, carnivorous plants, barnacles, and coral reefs all fell under his encompassing scrutiny, but the subject of his greatest interest, other than natural selection, may well have been earthworms. Darwin studied earthworms for almost forty years, from shortly after he quit the Beagle, until near the end of his long life. At the time that he was lying on his belly watching towers of castings forming on the flat surface of a pasture, worms were generally regarded as a pest. Until the publication of his book, The Formation of Vegetable Mould, Through the Action of Worms, in 1881, earthworms were not deemed worthy of scientific attention. How pleased Darwin would be to see their status today! Gardeners now hold earthworms in high regard, but even so, few of us understand the full scope of their role, not only in the garden, but in field and forest as well. An important agent of decomposition, earthworms are the ultimate recyclers. While most earthworms feed on plant material and ingest soil in the process, some thrive on an earthier diet. Earthworms can be divided into three groups. Epigeic worms, which include the common red wiggler used in compost bins, live on the surface of the earth, and eat rotting organic matter. They have a high rate of reproduction, useful to anyone starting a worm composting system. Endogeic worms live within the soil, build lateral burrows, and are the only worms that eat large quantities of soil. They have little effect on surface litter, but prefer soils rich in organic matter, where they may play a role in decomposition of dead plant roots and in aeration. 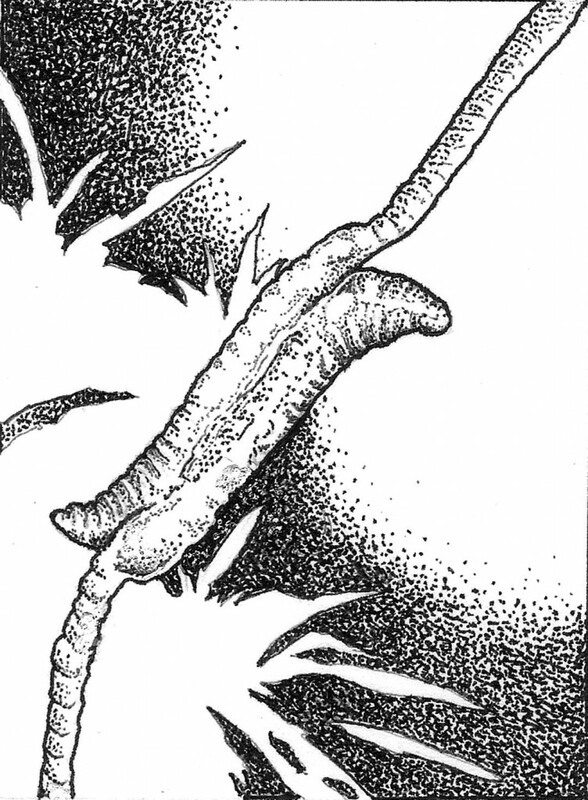 Anecic worms, also known as nightcrawlers, come to the surface at night to drag leaves and other organic matter into their deep and permanent vertical burrows. Anecic worms play a central role in the decomposition of leaf litter, and soil formation, wherever they are found. In a meadow near his home, Darwin measured the quantity of worm castings produced in a year, and found an astonishing eighteen tons per acre! Some scientists think that number is a low estimate, but while we now respect the pivotal role of earthworms in agricultural and garden soil, worms have still not attracted the scientific attention they deserve. Most of what we know is based on research in one family, the Lumbricidae, native to temperate Europe. Little research has been conducted in regions with a Mediterranean climate, and virtually none in the Pacific Northwest, where some species of our native worms can be elusive. Earthworms improve soil in several ways. The tunnels created by worms, especially anecic worms, create channels for penetration of roots, water, air, and nutrients. Nightcrawlers pull vegetation deep into their burrows, where it decomposes and releases nutrients. Worm castings are a rich source of nutrients, helping to improve soil structure. Castings include soil particles and digested organic matter coated with mucus, creating aggregates that improve soil structure. Several common practices are detrimental to earthworm populations. Tilling the soil and the use of garden chemicals are often harmful to earthworms. To increase earthworm populations, I use no-till techniques, instead building new garden beds by sheet mulching. I cover compacted soil with layers of compost, cardboard, mulch, and sometimes a cover crop. I wait a few months while the earthworms do the tilling, then I plant in the enriched and loosened soil. Regular additions of compost and mulch to established beds keep the worm population healthy. Recent studies suggest that soil enriched with worm castings produces plants that are better able to resist pests and diseases. In addition to his many other accomplishments, Darwin is regarded by some as the founder of contemporary soil science. His ground-breaking book leads directly to our contemporary appreciation of earthworms (native or not) as an important part of the food web in any garden. Earthworms, now established in our gardens and on our farms, play a major role in decomposition, while also serving as a valuable food source for birds, moles, and other earthworm-eating organisms. A garden without earthworms is simply unimaginable! Phylum: Annelida, the segmented worms, leeches, and polychaetes. Class: Oligochaeta. Family: Many, but Lumbricidae includes most familiar earthworms. Epigeic red wiggler, or brandling worm (Eisenia fetida) is found in leaf litter, manure, and compost piles. Red marsh or leaf worm (Lumbricus rubellus), also sometimes called red wiggler (a term better reserved for E. fetida), is found in topsoil. Nightcrawler or fish worm (Lumbricus terrestris) is a large deep-dwelling worm. About 180 species of earthworms in a dozen families in America, north of Mexico (Canada and USA); over thirty percent have been introduced. Worldwide, approximately 4,000 species of earthworms. Earthworms are hermaphrodites, with both male and female reproductive organs. One to several eggs are enclosed in a cocoon. Worms average six months to two years to reach adult size. Some earthworms are parthenogenic (able to reproduce asexually). Red wigglers may produce over 900 eggs in a year; nightcrawlers produce only about forty. Immature earthworms look much like the adults. Red wigglers are small (2 to 5 inches), reddish brown and striped; red marsh worms are larger (2.5 to 6 inches) and more purplish; nightcrawlers (4 to 12 inches) are pink to dark red. Varies from about a year for red wigglers to six years for nightcrawlers. An earthworm can eat its own weight in organic matter daily. Red wigglers eat decomposing materials at the surface; red marsh worms eat decomposing roots and soil in the top foot, while nightcrawlers live up to six feet underground, coming to the surface for organic material. Some worms thrive in acidic conditions, such as decaying conifers; some in the mud of streams. 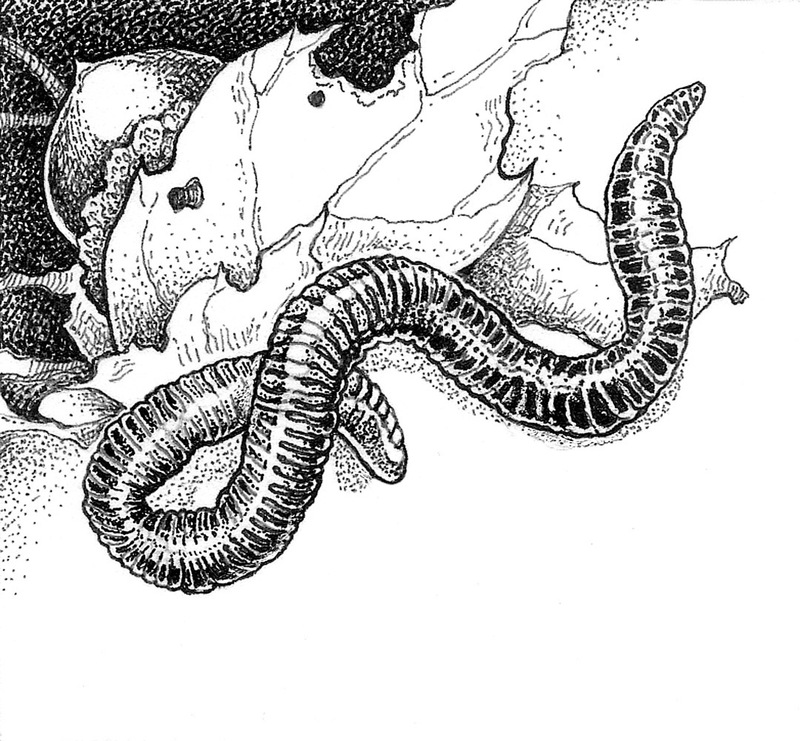 Serpentine soils have a unique earthworm fauna. Prefer materials with a low carbon to nitrogen ratio, such as clovers and other legumes, and materials in which the microbial community has initiated the process of decomposition. Worms aid in soil aggregation, creating pores for movement of air, water, nutrients, and roots. Worm castings concentrate humus; casts may contain many times more available nitrogen, phosphorus, and potassium than the surrounding soil. Worms may create lumpy surfaces in fine turf, and can degrade ecosystems where they are not native. Oregon and Washington are home to giant (but elusive) earthworms, said to smell strongly of lilies. More than a million earthworms may be found in an acre of land. A single earthworm may produce up to ten pounds of castings per year! Worms for vermicomposting are readily available.